Barton prides itself on providing clients with the services of their in-house Chartered Engineering staff, and expert advice on all methods of fixing systems to building structures and any type of exposed areas and in depth knowledge of Health and Safety Legislation. Over the last 30 years, throughout Ireland, the United Kingdom and Europe, we have provided bespoke safety at height solutions to a vast array of sectors, ranging from pharmaceutical and chemical plants, factories, airports, train and bus stations, financial headquarters, shopping centres, schools and universities, hospitals, wind farms and oil and gas platforms. Free design and specification service in any AutoCAD format. Full systems designs for all types of applications. Technical literature on the products. 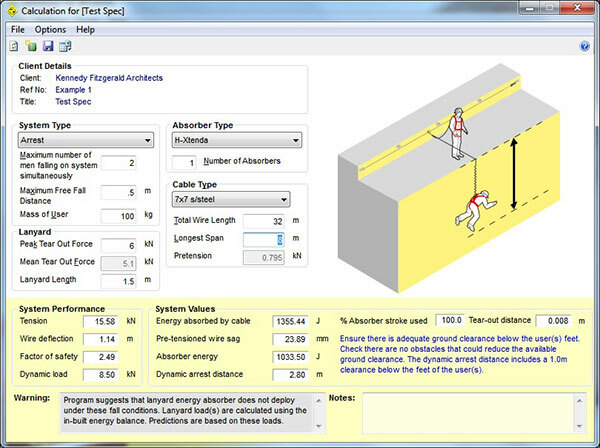 To aid system design, Barton uses a unique Windows-based software package designed by Latchways. The software is available to Barton as it has been an approved Latchways installer for over 25 years. 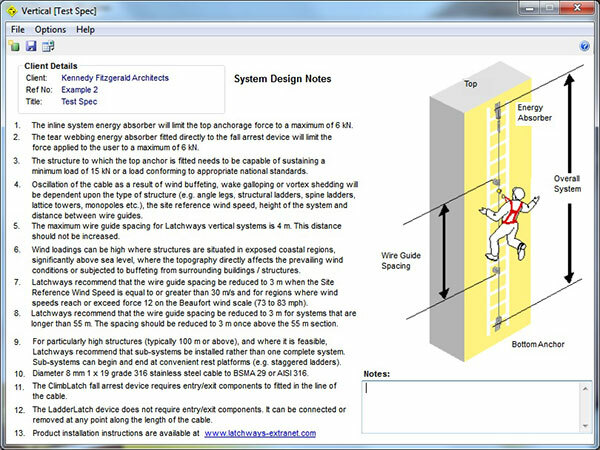 "This simplifies modelling and testing of alternative design and loading strategies and helps ensure that the right system is specified for any application by ensuring that free-fall distances and system loads for the proposed design are within the required safety factors."